Over the past 20 years we have gained experience in recruiting, team leadership, training, and employer branding. Having worked with hundreds of job seekers and company managers from top to bottom, we know exactly how to build up your employer brand successfully. In 2012 we became accredited consultants of WorldBlu Most Democratic Workplaces™. Our approach to Employer Branding is primarily based on the tried and trusted methods and principles developed by WorldBlu, specializing in freedom-centered and meritocratic organizational design and leadership. Our aim is to help our clients create high-performing workplace cultures where freedom and meritocracy trough a positive transformation play a vital role. We work hard to evaluate and transform mindsets, leadership skills, and workplace cultures at companies that wish to have motivated, stress-free employees and amazingly skilled and competent leaders. This such an organizational culture evolves, which attracts and retains top talent and delivers outstanding results both in terms of revenues as well as employee satisfaction. 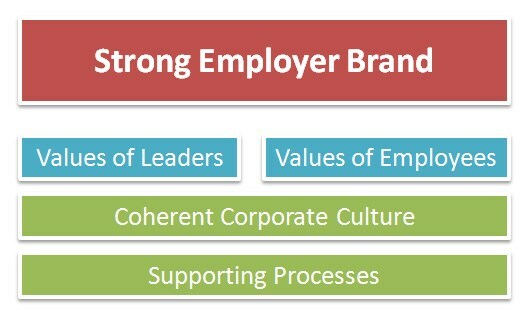 Employer branding starts with the leaders, management and team values, culture and processes. elaborate workflows supporting this process. Our experience is rooted in being active not only in employer branding, but also in recruiting and developing talent. We examine the core values of the whole organization and help create a corporate culture based on the strongest ones. We always concentrate on delivering solutions that bring outstanding results to the employer, the employees, and ourselves as well. How should I begin my Employer Brand development?